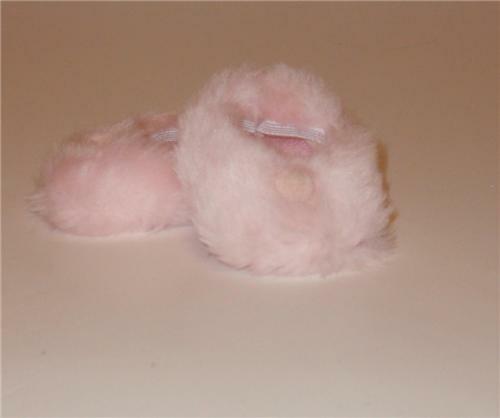 One pair of pink fuzzy slippers. Soft and cozy! Will fit 18" American Girl Dolls and other similar size dolls.